When a guest makes a call to request for some service or to raise a complaint, the employee handling the call created a ticket in Geedesk. 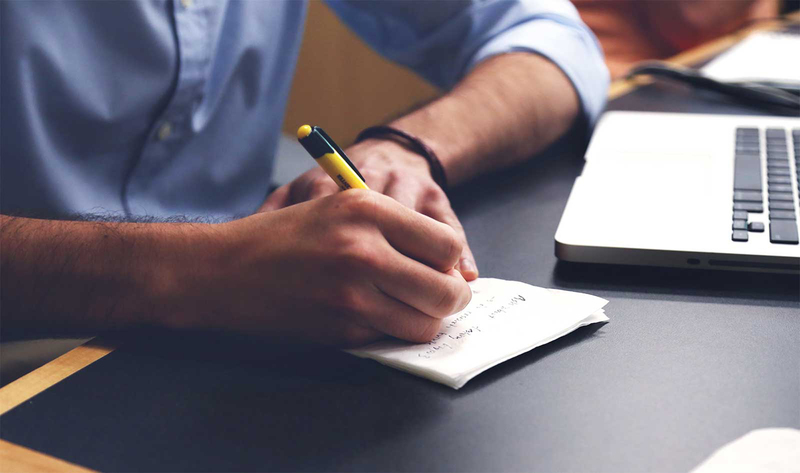 Employees handling guest calls do not have to maintain a manual call log any more and can be dependent on Geedesk to get their daily or weekly call logs. 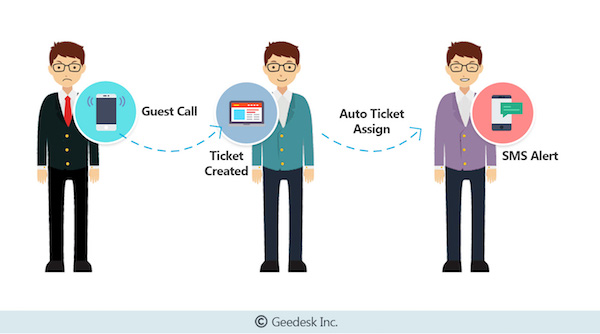 Once the ticket gets created Geedesk automatically assigns the ticket to the right employee in the right department. This negates the need to manually assign the ticket, which could be a painful and tedious process. 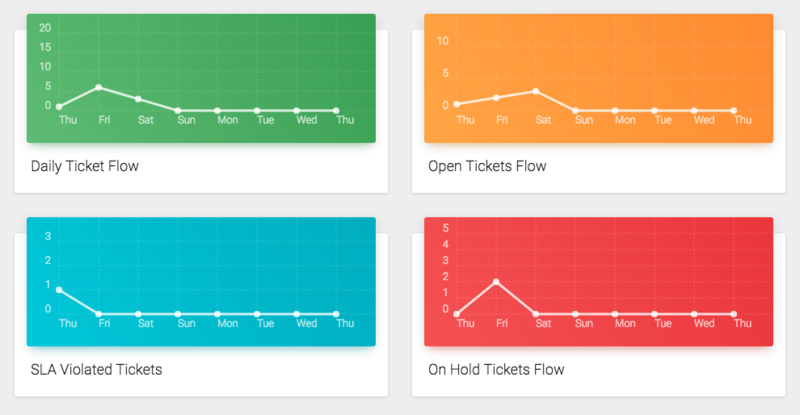 Geedesk assigns notifies the employee to whom the ticket is assigned through sms and app notification. Employees can choose either Android or iOS app based on their device to work with Geedesk. Hotels that restrict smartphone access, can use the sms notifications from Geedesk. This does not require the employees to have a smartphone. Employees can resolve a ticket from their smartphone apps or through a simple sms. Top management and department heads can receive the daily reports in their inbox or view it on their smartphones. Intelligent analytics and insights help you understand the complaints and requests in your property. 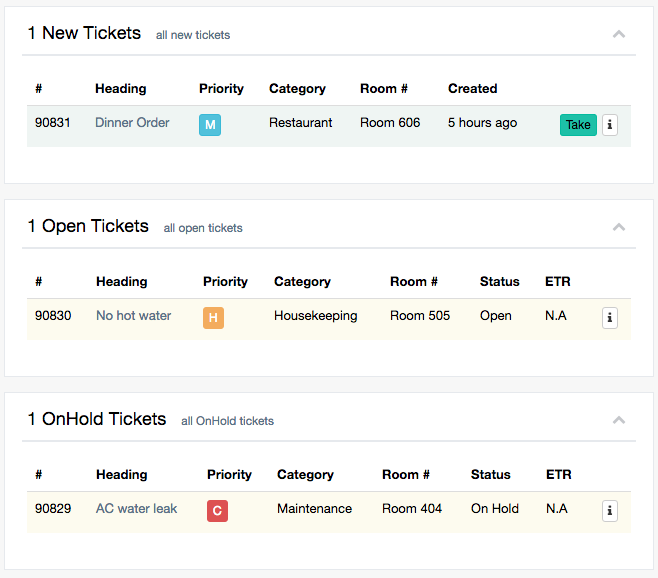 View reports like rooms with maximum tickets, best performing departments, departments with most tickets, ticket creation patterns and much more. 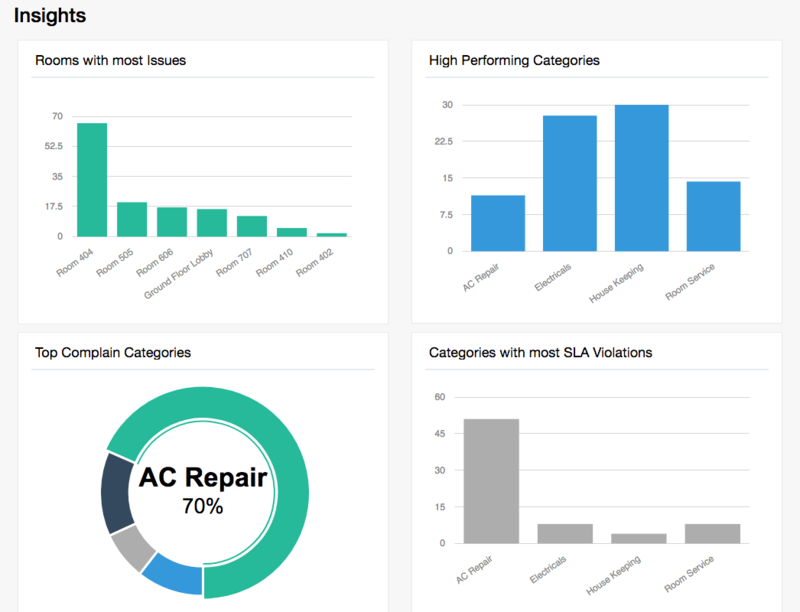 Property dashboard in an extended tool that helps you track the performance of the complaint management process in your hotel. This is ideal for both corporate hotel chains and for individual property as property dashboard fetches reports from one or more properties.